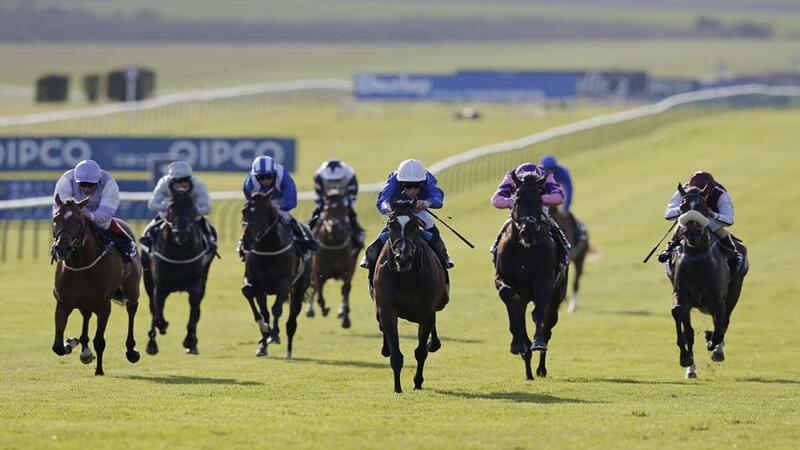 "if anything finishes ahead of Royal Marine it will be the winner"
Run over the same course and distance as the 2,000 Guineas, the Craven Stakes is the main trial for the Classic on the 4 May. Although last year's Craven turned out to be more of a Derby trial as Masar (also owned by Godolphin) and Roaring Lion, first and third in this 12 months ago, went on to fill the same positions at Epsom. Godolphin again look the team to beat here having the first two in the market, but for me on the two-year-old form of Royal Marine was the better of the pair. The colt's Group 1 win in the Prix Jean Luc-Lagardere on the Arc card was comprehensively franked in Ireland at the weekend, when the second home in France, Broome, won by eight lengths in the Group 3 Ballysax Stakes at Leopardstown. If you are going to back Royal Marine though you will have to be able to forgive him his run on dirt at Meydan in January, where he was disappointing but clearly those conditions didn't suit him. When the market was originally formed it had the other Godolphin runner Zakouski for Charlie Appleby priced up as the favourite, relegating Royal Marine to second in the market. But for me Zakouski certainly didn't achieve as much as Royal Marine last year, and while he looked good winning a novice at Kempton, he was receiving weight from the runner up, Headman, who was beaten at Newbury last Friday. I think the market is now correct and for me, if anything finishes ahead of Royal Marine it will be the winner. Breath Of Air looks a more than worthy favourite in this for the Charlie Hills team and with Ryan Moore in the plate, he's going to be tough to beat. He was a comfortable winner of his maiden at Newbury in September, where he beat the Greenham Stakes winner Mohaather by almost four lengths. He then followed that up with a more than respectable third in a Listed race at Doncaster, but both of those races were on good to soft and the main reason I wan't to take him on this afternoon is that I am not sure he will be at his best on this faster ground. One that has run well on good to firm ground before is Mark Johnston's Chapelli, the filly's form certainly dipped towards the end of her two-year-old career but she looked much better when just finding one too good at Pontefract last week. She is due to go up another 2lbs for that run but gets in here off 93, the same mark she ran off last week. The quick turnaround won't phase her, she won back-to-back races just six days apart in June last year and that race at Pontefract may have just been what she needed to sharpen herself up, at [6.0] I am prepared to give her a shot at beating the jolly.